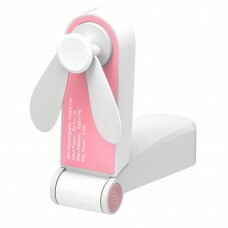 Small Exquisite Fan: 3.6 inch size when folded, easy to carry in your pocket. 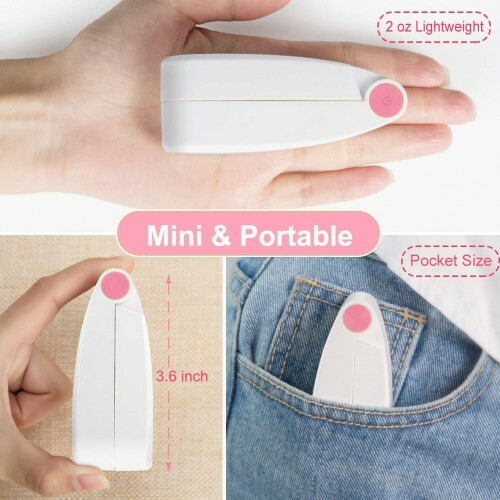 Can be used hand held or folded into a stand. 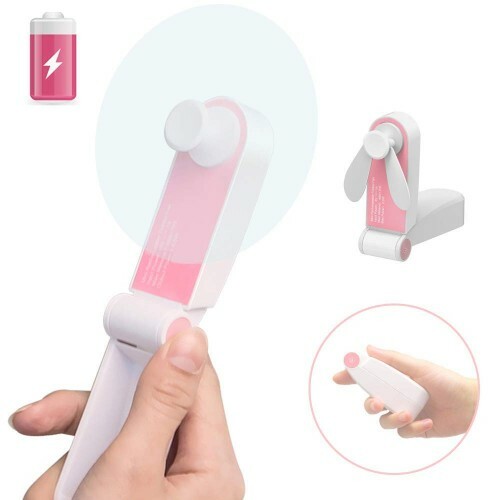 Usb Rechargeable Fan: USB rechargeable, one hour to fully charge, indicator light is on when charging and off when finished. 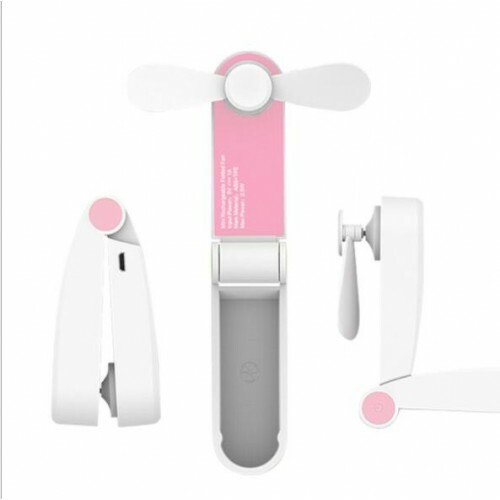 2 Wind Speeds: soft or strong mode, meets your cooling needs. 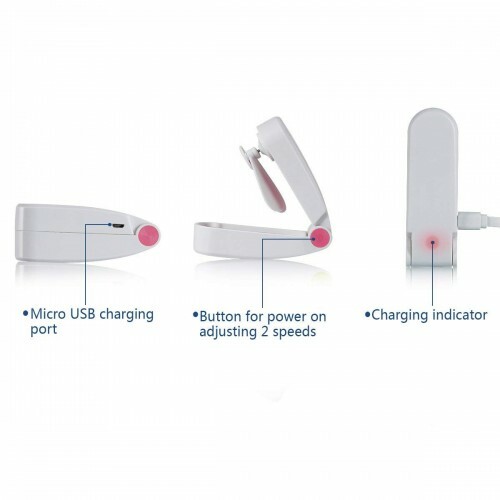 When fully charged, high speed lasts about 2-3 hours, soft mode lasts about 4-5 hours. Quality & Safe: adopting high-quality TPE material, soft, durable and safe.